Can Chevy market it right? The base 2017 Chevy Volt may be the best value, because options can take the car to $40,000 or so. 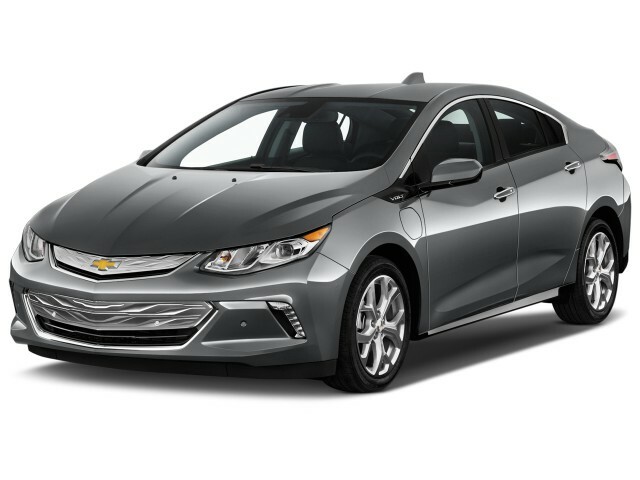 The 2017 Chevrolet Volt is a compact hatchback that offers a way to travel only on electricity for the majority of everyday driving, while eliminating range anxiety by providing a gasoline engine for longer trips. This year's Volt comes in two trim levels, the base LT and the high-end Premier (known in prior years as LTZ). Changes to the car in its second year of a new generation are limited to the availability of adaptive cruise control and one new color choice. GM says its user data show that the Volt will now cover nine of every 10 trips entirely on battery power, recharged by plugging in. The Volt's EPA-rated electric range of 53 miles is second among plug-in hybrids only to that of the BMW i3 REx, but the Volt is more convenient for long trips because the range-extended BMW's tiny gas tank requires fuel stops roughly once an hour. From the outside, the Chevy Volt is crisper, more rakish, and visually both lower and tauter than its predecessor. Its low cowl and door sculpting dispenses with the slab-sided look of earlier Volts. The front of the car comes to a point and then wraps back around the corners, with the low nose and rising window line making the car appear to lean forward like a very sleek, wedgy sedan. Inside, the new Volt retains the central display screen and instrument-cluster display of earlier models, but the cockpit is more intuitive, with conventional knobs for things like audio tuning and climate control that are much closer to standard Chevrolet interior hardware. The 2017 Volt's T-shaped lithium-ion battery pack has a total capacity of 18.4 kilowatt-hours, giving it a stellar EPA rating of 53 miles of electric range, about one-third more than the 38 miles of 2013-2015 Volts. As long as charge remains in the battery, the Volt's two motor-generators power the front wheels alone; the engine never switches on even if maximum power if required, unlike most other plug-in hybrids. Total output between the pair is 111 kilowatts (149 horsepower) and a remarkable 294 lb-ft of torque. Chevy quotes acceleration from 0 to 60 mph of about 8 seconds. Once the battery is depleted, after 50 miles or so, the engine switches on and the Volt turns into a conventional hybrid car (until its next recharge) with an EPA rating of 42 mpg combined. It's a 1.5-liter 4-cylinder from GM's latest global family of 3- and 4-cylinder engines. It delivers 101 hp at 5,600 rpm, and runs on regular (87-octane) gasoline. For lowest energy use, its combustion process has been modeled to simulate the ultra-efficient Atkinson cycle under some circumstances. 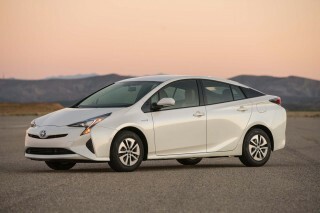 An 8.9-gallon fuel tank and the larger battery give a rated range of 430 miles on electricity and gasoline together. On the road, the Volt is remarkably quiet, smooth and vibration-free, and powerful when needed. It has a heavy feel for its size, but the weight is situated low in the chassis, so it corners flat and has decent feel from the electric power steering. It's not a sport sedan, but it's easy and comfortable to drive, even somewhat calming. Even when the range-extending engine switches on, the new Volt doesn't feel strained under full power, maintaining the smooth, silent feeling of electric drive. Build quality in the several Volts we've tested has been excellent, and a range of 50 miles or more is realistic in temperate weather. When temperatures drop significantly, that range may fall to 40 or 45 miles—and the engine will switch on to heat the cabin below freezing. The Volt is reasonably comfortable for four adults. The front seats remain low to the ground, with good bolstering, while the the two rear outboard seats take the form of individual buckets. Responding to owner requests, Chevy has given the Volt a fifth seating position, though it's only for occasional use on short trips by small, lithe passengers. To call it a seat would be a stretch; it's little more than a cushioned pad over the battery pack, with the wide battery tunnel requiring the occupant's legs to splay into the foot wells on either side. The IIHS calls the Volt a Top Safety Pick+ and federal testers give it five stars for safety, across the board. All models come with 10 airbags and a rearview camera as standard equipment. Optional safety equipment includes adaptive cruise control, blind-spot monitors, rear cross-traffic alert, lane-keeping assist with lane-departure warning, forward-collision warnings, and automatic emergency braking. All Volts come with power features; keyless ignition; automatic climate control, OnStar 4G LTE with a three-year subscription, a built-in wi-fi hot spot, and Apple CarPlay on the infotainment home screen. The base 2017 Volt LT starts around $34,000 before any incentives, and a fully optioned Volt Premier can reach $40,000 or more. It qualifies for a $7,500 federal income-tax credit, a $1,500 California purchase rebate, and various other state, local, and corporate incentives. The 2017 Chevy Volt is crisp and rakish on the outside, with a refined and intuitive interior. The 2017 Chevy Volt has a rakish and aggressive design, with steeply angled windshield and rear window and a forward-leaning wedge profile led by a pronounced center point on the nose. Its sharply incised side accent lines underscore the angularity, dispensing entirely with the previous generation's slab-sided look. Up front, the lights and fenders sweep back from the pointed nose. There's a two-panel Chevrolet "grille" design, but it's made up of two distinctive flat-silver blanking plates with a sort of circuit-diagram pattern. The rear deck—while still high—is also less flat and plain than in the prior generation, and the liftgate has only a single glass panel now. While the new Volt is less bluntly distinctive than the first version, it's fresh and appears to be popular among non-Volt owners, who dub it sporty and modern. Regrettably many of the Volt’s styling cues look similar to those of the Chevrolet Cruze compact four-door sedan. Especially in the same color, they’ll look similar on the showroom floor—perhaps too similar—except the Cruze will start below $20,000 and the Volt starts above $33,000. The design also carries echoes of the 2015 Honda Civic sedan, and the taillights evoke the older Subaru Legacy sedan to boot. All that said, though, it's a cohesive and appealing look that lives up to the car's tech-forward powertrain. The 2017 Volt's interior is more conventional than earlier models, and that's all to the good. Chevy’s twin-cockpit design is executed in black with silver accents, and optional two-tone interiors add a touch of elegance.The switches, controls, and instruments are legible, intuitive, and easy to learn and use. The 8.0-inch touchscreen in the center of the dash is bright, crisp, and remarkably high-resolution. While old car’s gimmicky touch switches were deeply frustrating—even dedicated owners said so—that’s all gone now. Even the display graphics, a model for the segment back in 2011, have been streamlined, refreshed, and made more elegant. The 2017 Chevy Volt is smooth, quiet, and fun to drive, with high range and a surge of electric power when you need it. The 2017 Chevrolet Volt is nominally a plug-in hybrid, but given its 53-mile EPA-rated range, most of them will spend the bulk of their hours running only on battery power. GM expects 90 percent of all Volt trips to be driven exclusively on battery energy from the grid, stored in an 18.4-kwh battery pack using the latest generation of lithium-ion cells from LG Chem. In the rare circumstances when a driver depletes the battery entirely, the 1.5-liter inline-4 comes on and the Volt effectively turns into a conventional hybrid, rated at 42 mpg combined. 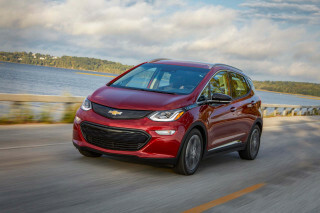 The power of its electric drive remains at 111 kilowatts (149 horsepower), but torque has increased to 294 pound-feet from the 273 lb-ft of the old Volt. During our road tests, we missed that startup in virtually every instance unless we watched the power-flow diagram on the central screen. The car is considerably quieter under all circumstances. We drove a 2016 Volt almost 100 miles in hybrid mode and simply forgot that the engine was on in most cases. Combining 200 pounds less weight with an accelerator tuned for more power delivery between 0 and 30 mph, the new Volt seems quicker than the old one and will keep up with almost any traffic if driven attentively. The engine is still audible under maximum acceleration, especially at higher speeds, but it’s more of a remote hum than the higher-pitched howl delivered by the old Volt. Unlike some other plug-in hybrids, the engine start lags maximum power demand by up to several seconds, and it starts at a low speed. The Volt's latest powertrain allows both motors to power the front wheels together, or one motor to drive the car while the other recharges the battery, depending on which combinations are most efficient. 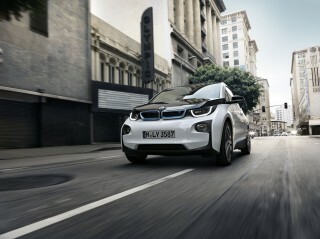 The engine can clutch in to assist the electric motors in powering the front wheels directly if that's most efficient. Still, it all works transparently to Volt occupants, who will feel only a quiet and smooth flow of electric drive. The new Volt is hardly lithe, in the manner of a Mazda, say, but it’s more enjoyable on twisty roads—and its quiet lack of fuss and smooth, consistent electric power delivery is soothing no matter what the road or traffic may be. It still seems heavy for its size, but both roadholding and steering feel are livelier than the old car, which sometimes felt underdamped. GM's engineers have improved the blending of friction and regenerative braking to the point where no transition is perceptible. While the old Volt was good in this regard—notably better than first efforts from other makers—the new 2017 model is exemplary. The majority of owners who use only the 120-volt charging cable that comes with the car will need nine to 12 hours for a full recharge, depending on a variety of factors that include outside temperature and the quality of the household circuit. 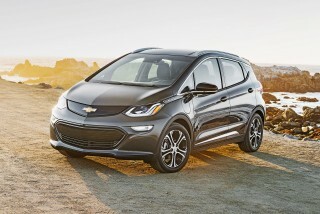 Using a 240-volt Level 2 charging station, GM says, recharging takes 4.5 hours. The onboard charger has a power rate of 3.6 kilowatts, up from 3.3 kw, but Chevy chose not to use a 6.6-to-7.2-kilowatt charger. Its reasoning is that the higher rate isn't needed, because most Volt owners recharge overnight. No DC quick-charging is possible with the Volt either. The 2017 Chevy Volt is smooth, quiet, and pleasant to drive, but only really holds four people, snugly. The 2017 Chevrolet Volt carries four people easily, with well-bolstered front seats that remained comfortable after a full day of driving. The window line drops slightly toward the front, letting more light in and reducing the “sitting in a bucket” feel for front-seat occupants. The window line angles up toward the rear, however, making the rear seats feel a little tight even though head and leg room is adequate (if not generous). Chevy doesn’t call it a seat, but the rear now has a fifth "seating position." It's strictly for limber riders willing to put up with discomfort and splay their legs around the battery tunnel, over for short trips. Its occasional-use status is reinforced by the lack of a headrest, though that rider does get a shoulder harness. It’s fine for a lithe teenage soccer player, but not your middle-aged business colleague. The new Volt is smooth and quiet under electric power, the mode in which it’s likely to spend most of its miles. Almost all modern electric cars are better in this regard than their gasoline equivalents, but we heard almost no hum from the electric components. But once the battery has been depleted and the engine switches on, it’s a far quieter vehicle inside than the last generation. GM’s engineers put a great deal of effort into reducing engine noise, starting with the engine design itself, and the difference between old and new Volts under full acceleration is notable. The aero engineers have also done a good job reducing wind noise, and the hard rubber compound of the low-rolling-resistance tires is only noisy on certain road surfaces—though the car is generally so quiet that tire noise from coarse concrete highways is remarkably intrusive. The interior design is rendered in high-quality materials, with soft-touch materials in most places that will get passenger contact and only sparing use of hard plastic surfaces. Thankfully, the gimmicky high-tech interior of the last Volt is gone, and the dashboard and controls are straightforward, logical, and intuitive. Chevy says it listened carefully to its first generation of Volt buyers, and made a number of changes in response to their needs. One of the more notable is simple but highly useful: the charging cord now lives in a separate side compartment inside the cargo bay. That means drivers no longer have to remove all their luggage and lift the load floor just to reach the charging cord underneath, as they did in earlier Volts. Little things mean a lot. The 2017 Chevy Volt aces every safety test. Why no perfect score? Advanced features are bundled into pricey trims. The 2017 Chevrolet Volt gets top scores across the board from federal testers, and the IIHS calls it a Top Safety Pick+ thanks to its performance in crash tests and the availability of forward-collision warnings with automatic emergency braking. The Volt comes with a standard rearview camera and 10 airbags. For 2017, adaptive cruise control has been added to a package of optional safety systems that includes blind-spot monitors, rear cross-traffic alerts, lane-keeping assist with lane-departure warning, forward-collision warnings, and automatic emergency braking. Chevy calls its advanced parking-assist function “semi-automatic parallel parking," which includes both front and rear assistance. The old Volt’s notorious blind spot at the base of the windshield pillars has been reduced, but that triangle is still much larger than in other compact cars—Honda and Subaru are exemplary in the segment. Volt engineers told us the steep angle of the windshield requires a larger structural support to withstand roof-crush tests. Chevy also eliminated the second vertical glass panel in the tailgate, so the rearview mirror vision doesn’t show the road as close to the back of the car as it used to. The 2017 Chevy Volt's EV power is its most notable feature; additional features including adaptive cruise control keep it competitive this year. The 2017 Chevrolet Volt comes only in two trim levels, the base LT and the pricier Premier (known as LTZ in previous years). The base Volt LT has a six-speaker audio system with an auxiliary jack; leather-wrapped steering wheel; LED headlights; 17-inch, 5-spoke wheels; and an 8.0-inch touchscreen. The next and only step up, the Volt Premier, adds available active-safety packages such as blind-spot monitors, forward-collision alert and lane-keep assist; available leather seats; and standard automatic parking assist. For 2017, that package will include adaptive cruise control as well. The 2017 Chevy Volt is rated at 53 miles of electric range and 42 mpg combined, putting it among the most efficient of all cars sold. The 2017 Chevy Volt's EPA-rated range of 53 electric miles surpasses every other plug-in hybrid on the market, with the exception of the range-extended BMW i3 REx. 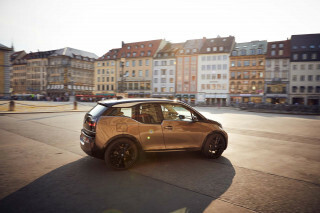 That car isn't directly comparable to the Volt, though, because its tiny gasoline tank only gives 75 more miles on top of its 73-mile electric range—and the BMW small 2-cylinder engine occasionally can’t deliver maximum power under very high demand. Electric range is more and more a point of competition among plug-in hybrids these days, as drivers go to remarkable lengths to avoid having plug-in hybrids turn on their engines. GM says 90 percent of trips in the new Volt will be made using battery capacity exclusively derived from wall current, without ever switching on the engine. That makes the Volt essentially an all-electric car for most travel. The Miles Per Gallon Equivalent (mpge) metric measures the distance a car can travel electrically on the same amount of energy as contained in 1 gallon of gasoline. The 2017 Volt's 106-mpge efficiency range approaches that of some battery-electric vehicles, and rises from the previous generation's 98 mpge. 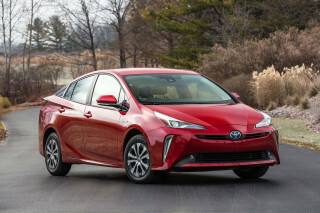 It’s also more fuel-efficient, with an EPA combined rating of 42 mpg in range-extended mode—up from the prior car’s 37 mpg. 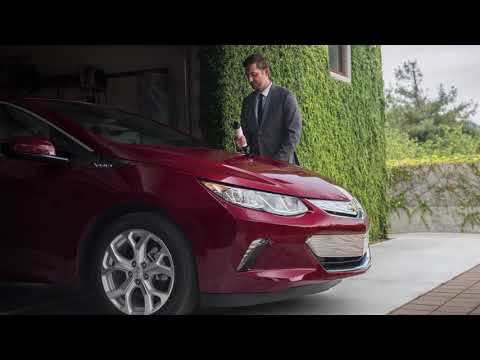 In our view, the 2017 Chevrolet Volt offers the best of both worlds: almost all-electric transportation but without the worry of battery depletion. As such, it rates our highest score of 10 on The Car Connection's Green rating. The car is exactly what an electric car should be. It has the emergency backup gas engine so I am never nervous. It handles like a sports car. Very reliable so far. It is my second volt. There are two fatal... The car is exactly what an electric car should be. It has the emergency backup gas engine so I am never nervous. It handles like a sports car. Very reliable so far. It is my second volt. There are two fatal flaws that would prevent me from buying this again. 1. There is no adaptive cruise control. I was told by the sales person that it had "all the safety options available". Turns out this was incorrect. It did not have adaptive cruise control which is a major safety feature. 2. The radio does not have audible announcements for delays or accidents. Even with the XM navigation package it does not announce all the delays and stoppages. You have to keep looking at the screen to see them listed. This is a potentially fatal flaw as the driver is distracted. 3. The lane keep assist only works at 35 mph or greater. 4. The automatic braking system will not actually stop the car if the car in front of me stops suddenly. If I could return the car I would and get another brand just because of these safety deficiencies. The 2017 Volt is a very good car. It goes about 50 miles on batteries only, then the gas engine turns on and drives the electric motors. It is very quiet, both in battery mode and in gas backup mode. So far it... The 2017 Volt is a very good car. It goes about 50 miles on batteries only, then the gas engine turns on and drives the electric motors. It is very quiet, both in battery mode and in gas backup mode.